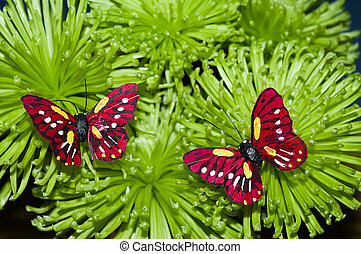 Two small red butterfly on the bunch of green flowers. 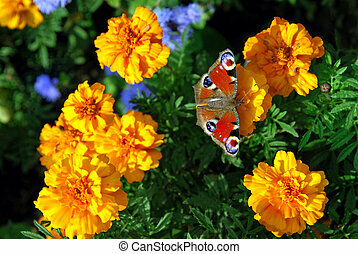 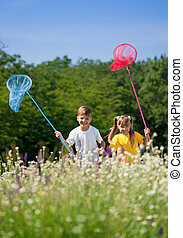 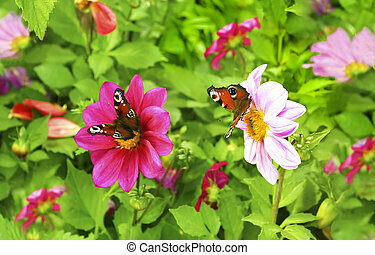 Two butterfly sitting on a flower Dahlias"together guys" in the summer weather. 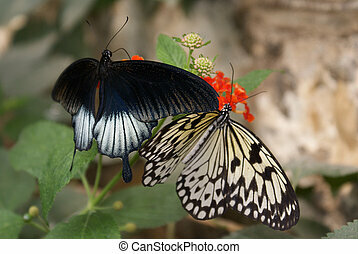 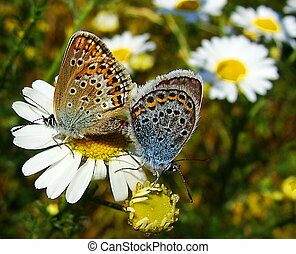 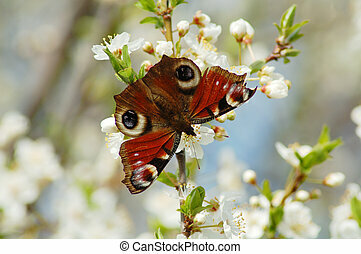 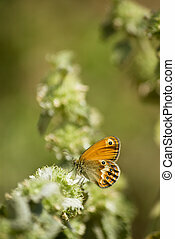 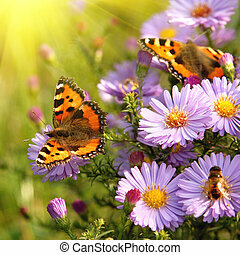 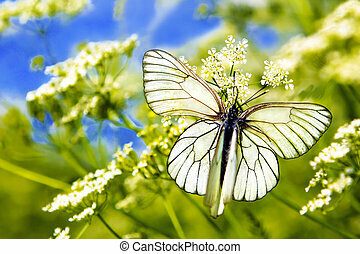 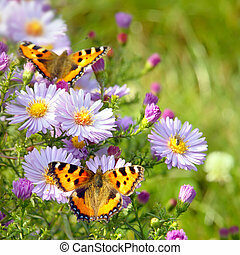 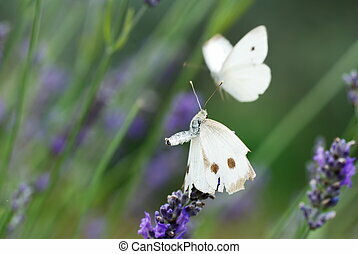 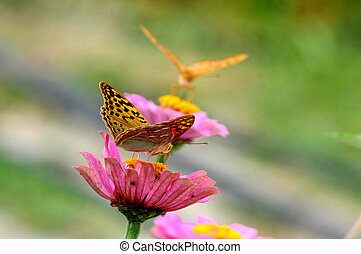 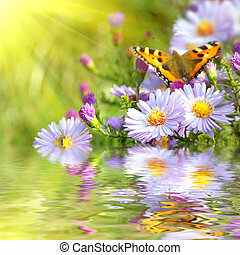 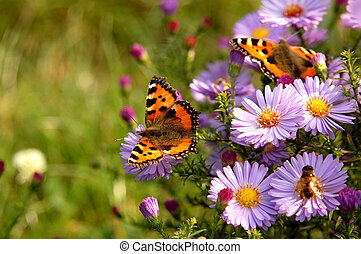 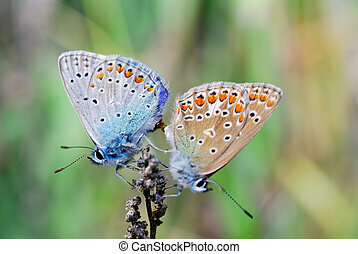 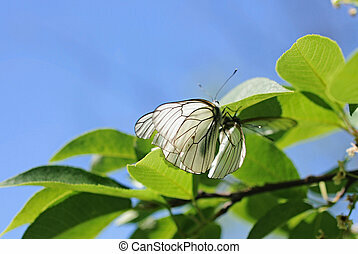 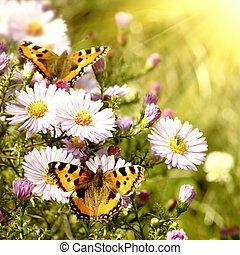 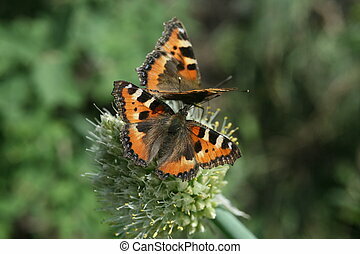 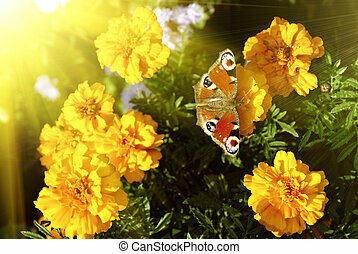 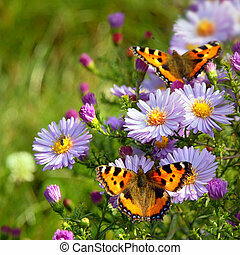 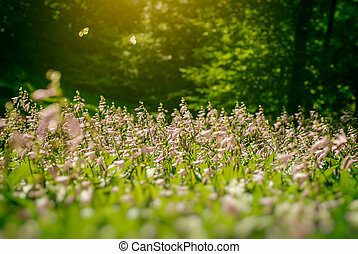 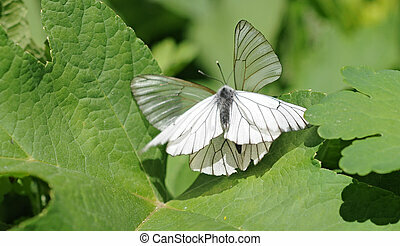 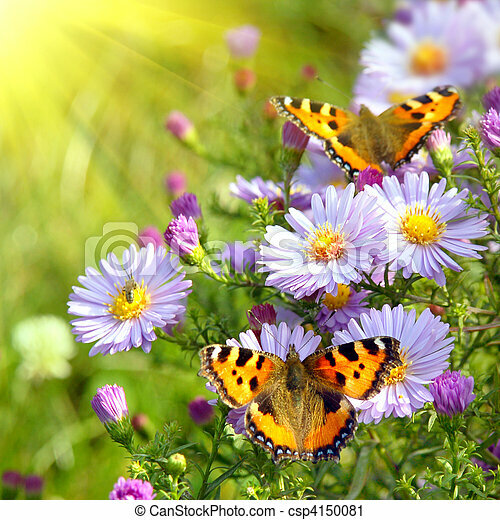 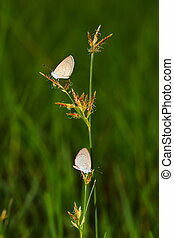 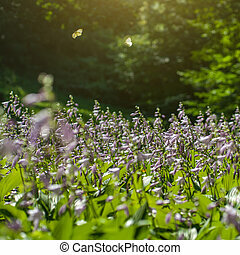 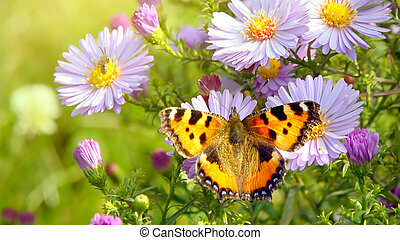 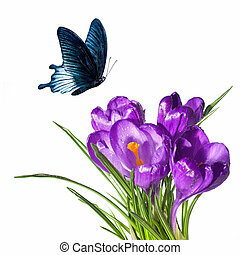 Two butterfly sitting on top of each other on the plant in summer warm weather. 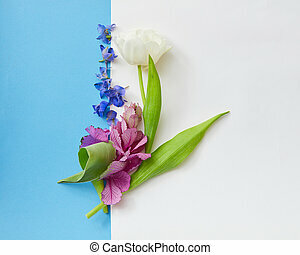 Composition of flowers represented between two copy spaces: white and turquois. 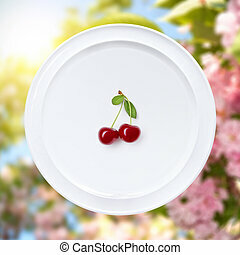 Copy spaces may be used for expressing your positive emotions.